Do some of you also get tired of the persistent need of television shows to push a certain romantic pairing on us? Sometimes it’s nice to see an average relationship and see how it grows and works out. Which is why after countless hours of watching television I’ve decided to pick some of my favorite past and current television friendships. Forgive me for omitting any-I haven’t actually gotten to see every TV show out there so some might be misplaced due to that. What friendship do love the most on TV? Do you wish friendships got more screen time too? Let’s be honest, as much as well all adored Cory and Topanga, it was Cory and Shawn’s friendship that gave us some of the shows best moments. It’s a series riddled with retrospective nostalgia but it undeniably stands out in my eyes due the absolute care they put into the two’s friendship. It always appeared genuine and heartfelt and there were moments of laughter as well as conflict. Truthfully, there were many of us growing up feeling like a Cory and looking for our Shawn. 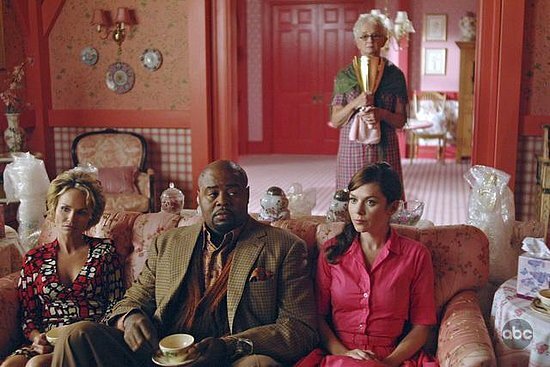 For a medium that is very much a boys club, I’d argue that despite the male lead, Pushing Daisies was all about the girls-demonstrated by the terrific characters of Olive and Chuck. At the start of the short lived series it seemed that Olive is there purely as an antagonist to the Chuck and Ned romance but slowly and surely the two girls hit it off while becoming the brains and the brawn of the detective foursome. Olive still has feelings for Ned but those aren’t what define her character; what’s much more definitive of her nature is how she grows closer to Chuck. They’re friendship was fun as they took part in many of the adventures and demonstrated how well multi-faceted female characters work on television. 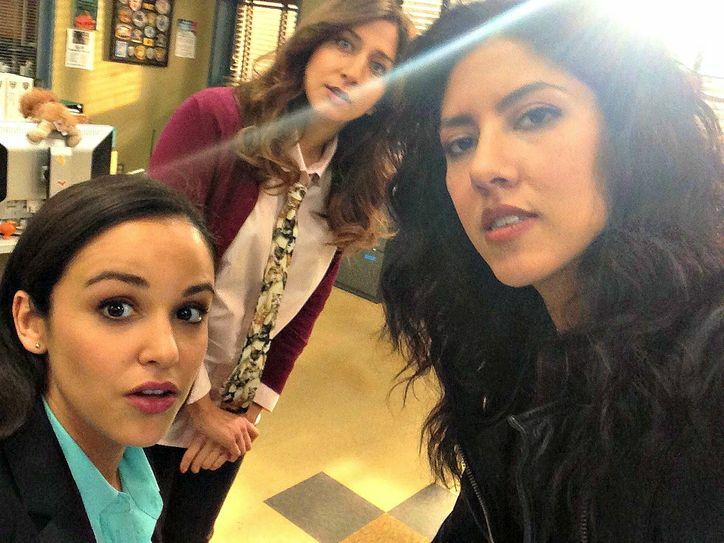 Brooklyn Nine-Nine may still be on its freshman legs but boy is it off to a strong start. It’s been mentioned numerous times that the shows ensemble cast and chemistry is surprisingly present and one of my favorite new pairings is between Rosa and Santiago. What began as mildly antagonistic quickly turned amiable after Rosa told her they had to stick together to not be beaten down by the men in their respective field. A camaraderie was born and friendship soon followed. The two causes trouble and solve crimes like old pros. This may become one of the best friendship arcs in the past few years of television. Their foundation to the most recent episodes shows a remarkable growth and they both rely on one another in true kinship spirit. For Sherlock, Joan is a sounding board, a voice of reason and a place of acute safety and ease. Sherlock is Joan’s way of brain stimulation, and for a path out of monotony. They both offer a lot of reserved heart and have been shown to each be an impact on one another. It’s a true partnership. This one is a little silly but come on, “Guy Love”! If there was ever a pairing to jump-start the more recent fixation with “bromance” it wouldn’t be ill advised to point the finger at these two goofs. There were ridiculous, lovable and had clear, plainly demonstrated affection for one another. Even after the show got bad (and we’re all still mourning that moment) there was always these two. In a show about clones, killers and killer clones, sometimes you need something human to ground the viewers. The sibling familiarity between Felix and Sarah accomplishes just that. No matter how crazy life gets, Sarah always has Felix to remind her of who she was before more of herself begins to trickle away. The two’s banter is infectious and played with a warm chemistry between Tatiana Maslany (who I think we can all agree is perfect) and Jordan Garvaris. It’s identifiable to anyone who understands that lifelong bond developed between friends who have seen the best and worst of one another. Aww man I love these two crazy kids. After they learn that they’re destined to save the world from apocalyptic doom they immediately decided that friendship is imminent and set towards being the most adorable detective pairing on TV. Beyond that, in the middle of the insanity of their day job which includes demons, headless horsemen and a dead wife stuck in a different dimension, they grow closer in means of escaping their scary real world. 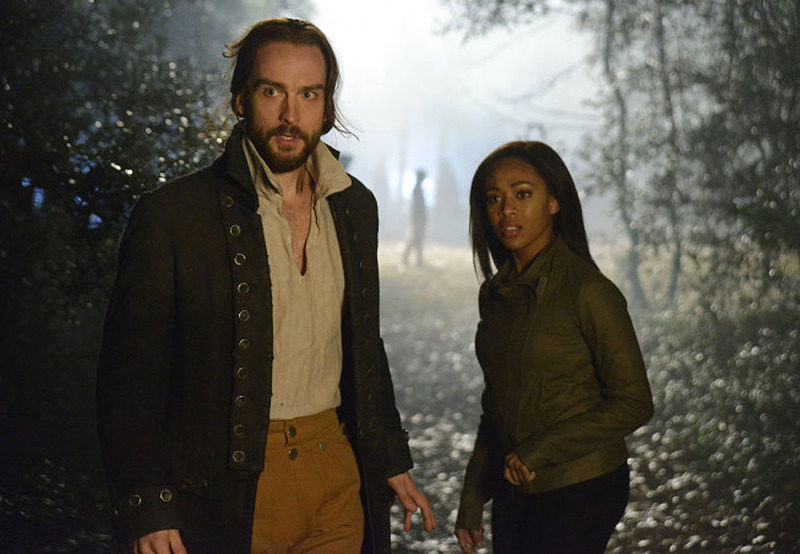 Their friendship is fresh and fun-Nicole Beharie brings energy as Abbie and Tom Mison’s Ichabod is wonderfully clueless about the 21st Century. How well would this show have worked out if the two leads didn’t mesh so well? 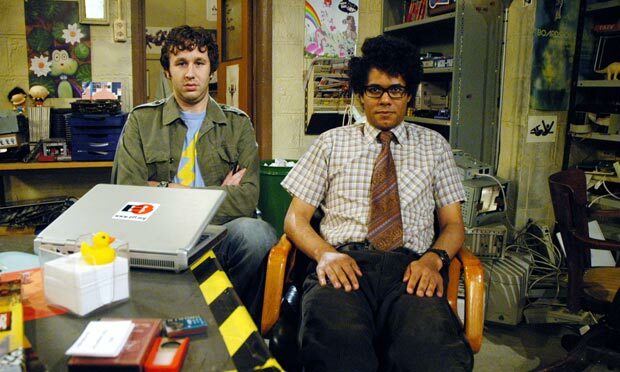 If you haven’t seen an episode of The IT Crowd yet I don’t know if we can talk until you do. Hilarity ensues in a small IT department with three offbeat and colorful characters. As much as it hurts me to not talk about Jen (because she was arguably the secret weapon of the show) the real friendship duo on the show was between Roy and Moss and the absurd situations they’d find themselves in. Awkward and unkempt, they manage to squeeze themselves into as many unlikely situations as possible and watching the two scramble to get out of it is pure comedy. 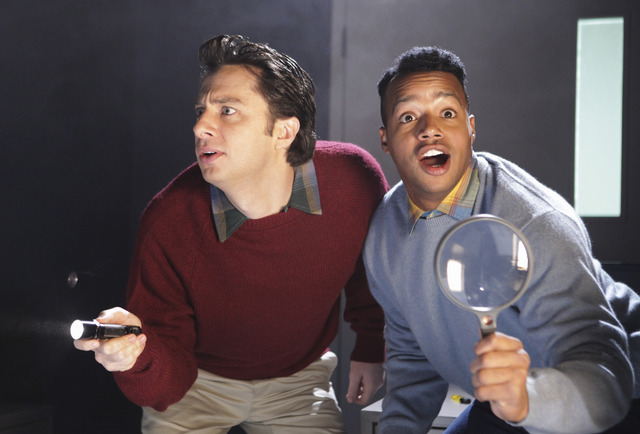 A particular delight is the episode where Moss and Roy befriend a cannibal in “Moss and the German” or the episode “The Work Outing”. Richard Ayoade and Chris O’Dowd are at their wackiest on this show and it’s just too much fun to pass up. Take away the werewolves, the kanimas, the dark spirits and the campy teen drama romance and I’d still watch this show-hell, I’d probably feel less weird recommending it to people too because what would be left would be the core, driving force of the show-the friendships, especially the one between leading man Scott and his best friend Stiles. I’ve enthusiastically commended the current season a lot and one of the main reasons is this relationship. It’s touching, it’s loving and its real-it’s the type of best friend that you’re always looking for who you’d follow anywhere without reasoning, but just because it’s them. I’m a little biased because after marathoning the show this past fall, getting the series on DVD and re-watching it and then re-watching it with commentaries, I’ve come to the educated determination that it may be in my top three favorite shows of all time. It’s that good. However the charm of these two cannot be denied and the chemistry between Simon Pegg and Jessica Hynes is off the charts. Sure, by the series end there are romantic inclinations but they’re never acted upon. This show (directed by Edgar Wright and also co-starring Nick Frost) is a pop-culture haven and manages to undercut the crazy themes, directorial style, references and storylines with a friendship that is very much grounded and relatable. It’s nice to see two 20 something’s who are realistically grappling with not knowing what to do with their life-it’s even better when the two leads seem like real people with real relationships. After watching it didn’t you want to find a similar group of friends?